Researchers have developed a new digital breast tomosynthesis (DBT) technique that can reduce the rate at which women are called back for additional examinations without sacrificing cancer detection. The new method may render full-field digital mammography (FFDM) in breast imaging unnecessary, according to a report published in the journal Radiology. 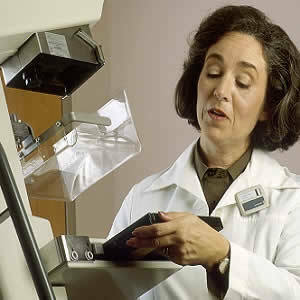 DBT uses a scanner that rotates partially around the breast, providing individual images of thin layers of tissue. When used with FFDM, DBT has been shown to improve cancer detection and reduce callbacks for additional examinations. However, the combination of the two methods requires a second radiation exposure to the breast, while also slightly increasing the time a patient spends in breast compression. The new technique involves the use of DBT images to create a synthesised 2D (s2D) compilation image. 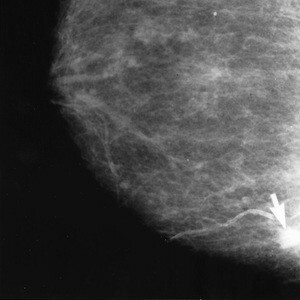 "The adoption of s2D mammography combined with DBT into screening programmes would limit radiation exposure to the patient, and, on the basis of our results, may improve clinical performance," says Jacqueline S. Holt, MD, FACR, director of Breast Imaging at Christiana Care Health System's Helen F. Graham Cancer Center & Research Institute. 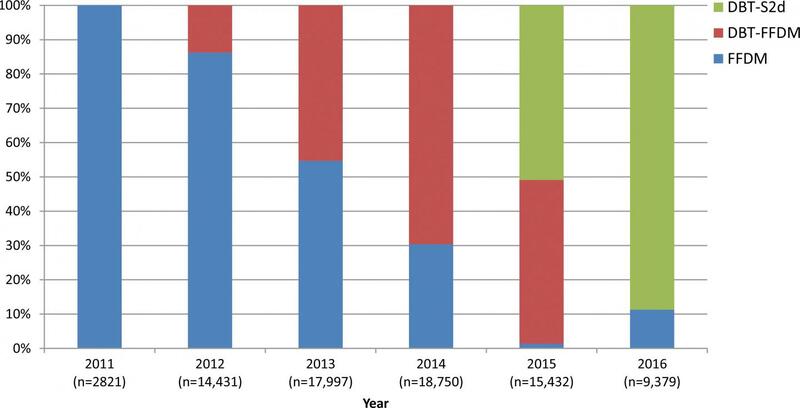 Graph shows percentage of screening breast examinations of each modality per year included in the study period. Note gradual decrease in percentage of FFDM studies from 2011 to 2015 and corresponding increase in percentage of DBT studies. Sample size (n) refers to number of breast examinations. In addition, the positive predictive value of biopsy for DBT-s2D was 40.8 percent, compared to 28.5 percent for DBT-FFDM. "If synthesised 2-D imaging is performed, you'll get equal or better patient outcomes and go to a lower radiation dose," Dr. Holt says. "These findings could be a practice-changer globally." The doctor also notes the potential cost savings arising from the adoption s2D mammography. "The downstream cost reduction when women don't need to be called back for additional imaging amounts to millions of healthcare dollars saved." 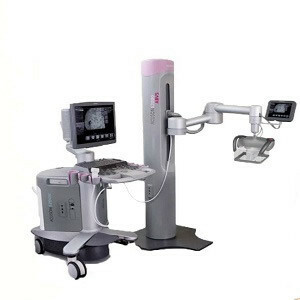 breast cancer screening, digital breast tomosynthesis, cancer detection., Recall Rate Researchers have developed a new digital breast tomosynthesis (DBT) technique that can reduce the rate at which women are called back for additional examinations without sacrificing cancer detection.